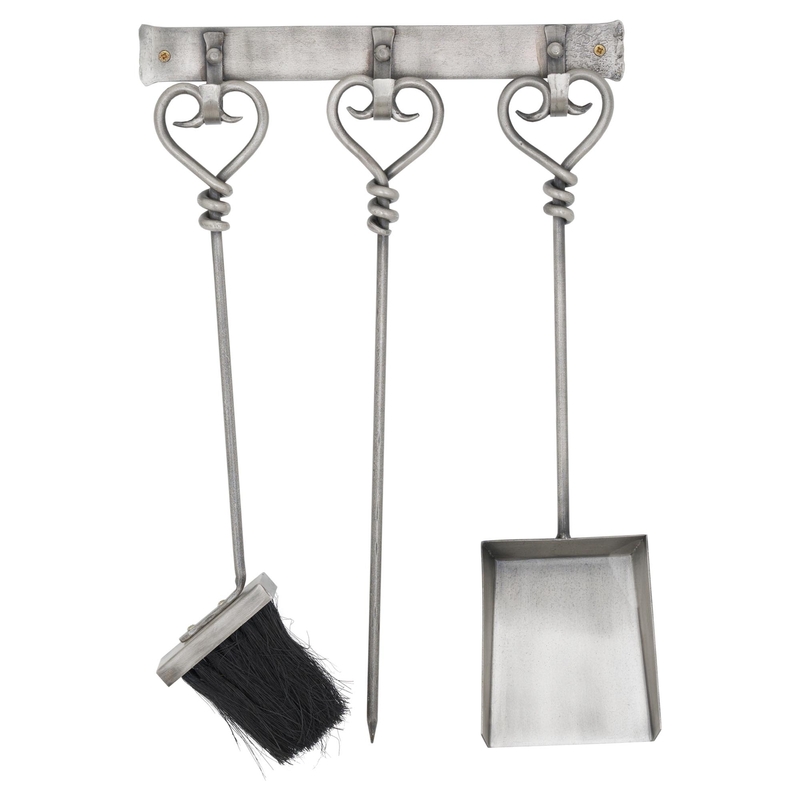 Transform your fireplace with this stunning Hanging Antique Pewter Fireside Companion Set. This piece has a very vintage and traditional feel but the heart detailing on the handles also gives off quite a chic elegant feel. Made from metal, coming in a silver colour this piece is mountable and has a antique pewter finish making this the perfect luxury addition to your home.